I’m adventuring in Wearables! I’ve had a Misfit Vapor for about 6 weeks now and whilst a lot of the Wear OS function feels promising, it’s also an OS that has been unrealised properly and has some very significant holes. I stepped in a big one and broke my digital ankle and nearly my will to live. Here’s how to solve my partially dumbass me type mistake and partly “stupid Wear OS / Misfit” software and doco mistake. I’ve spent about 2 hours today on a problem I wish could have been solved in about 10 minutes and the woeful documentation on Google Wear’s support site, as well as the (can’t even use the word woeful .. “hideously style driven contentless” or “non existent” are phrases that come to mind) documentation on the misfit support site, I finally found a solution. Got super crook. Long Story. Decided to change my life. Started getting fit. Got a Tom Tom Fitness tracker + Cardio and liked being able to track my steps. Wanted to get into the pool and swim and have sounds to help me swim. Wanted more from a wearable. Looked at the Apple watch and got grumpy. Why do I have to keep paying this ridiculous apple tax? 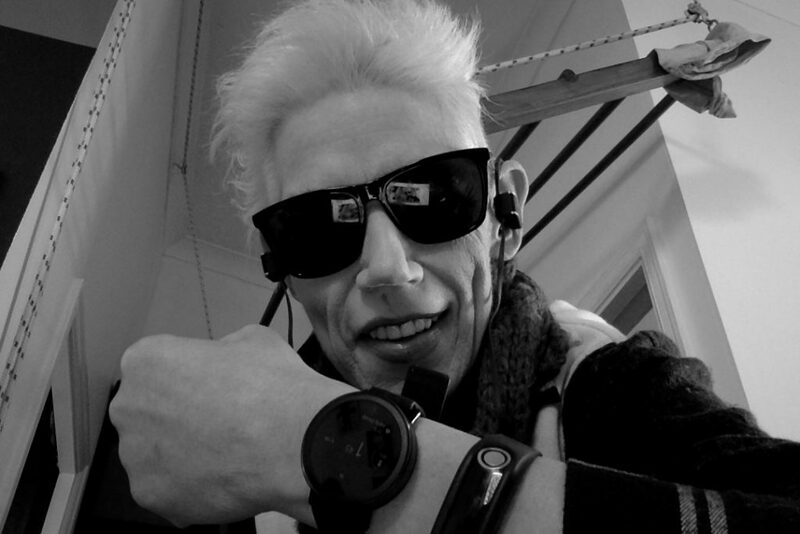 I want to write software that is useful and accessible for my watch. I want it connected via wifi and bluetooth and I want it to go underwater. Got a Misfit Vapor to see what Wear OS is all about. I could swim in it, it was a bit less fugly than a standard fitness tracker and I could develop some sweet, sweet apps. Got it connected to my iPhone 8 and dived into relative okayness with the new world of wearables. Really started thinking about extending the function of wearables in my life and my health goals and decided to move from being an iPhone human into being an android phone human. Screen broke on the iPhone 8, A few other issues came up with the phone meaning it now had limited function so powered it down and bought a Nokia 8. – Got the Doogee. Neither Nokia or Doogee phone would pair and oddly all my synced google music wasn’t working. Device was still connected to wifi though and uploading to Google fit. So basic functions were still making the watch valuable. How did I make a happy ending? I found a few hours on a Sunday and really wanted to start learning some basic Chinese Language before my trip so started looking at why my watch and my phone(s) weren’t happy and in love. Rebooted Doogee phone. Rebooted watch. Bluetooth pairing wouldn’t work nor would the Wear OS app on the phone see the watch. Rebooted Nokia 8, rebooted watch and the same problem occurred. 3 x factory resets later and I am still nowhere. Read https:/go.c/wearcheck – yes. Both phones were compatible. Read a variety of official docs from Wear OS and Misfit as well as the inifinitely valuable Misfit Vapor and Wear OS threads on Reddit and was still unable to find a solution. Thought maybe .. just maybe the iPhone and the Misfit were still paired in some deal with the devil type way that trancended all logic. Found my iPhone, charged it, found that yes .. my Misfit was still paired. Then unpaired and “forgot” the Vapor device in the iPhone vie the bluetooth settings on the phone. Factory reset the Vapor again. Suddenly, I can see the light and I am able to pair my Nokia 8 to my Misfit Vapor. 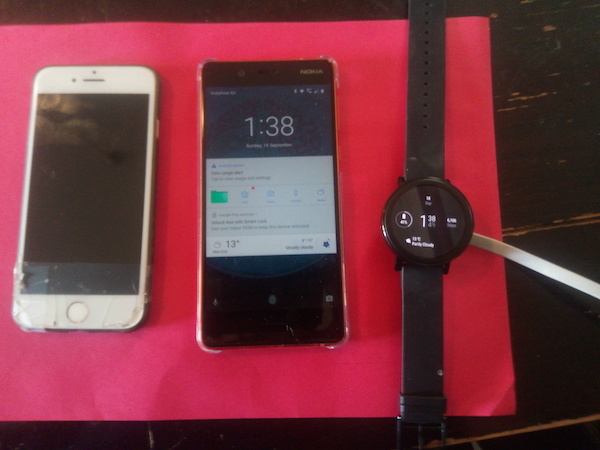 Whether I can pair two phones (My Doogee and my Nokia 8) to the same misfit watch concurrently or intermittently remains to be seen but right now I’m revelling and basking in the light of having a properly paired Wear OS device and phone. ALWAYS FORGET YOUR PAIRED iPhone DEVICE WITH YOUR SMARTWATCH DEVICE when switching Phones.